It is widely published that there are currently over 3.2 million people in the UK diagnosed with diabetes. That figure is estimated to rise to around five million by the year 2025. If you have been affected by diabetes, whether you've been diagnosed personally or whether you're helping a friend or family member deal with it, it’s worth arming yourself with a little extra knowledge about what you can do physically if diabetes is something you have to deal with and control on a daily basis. 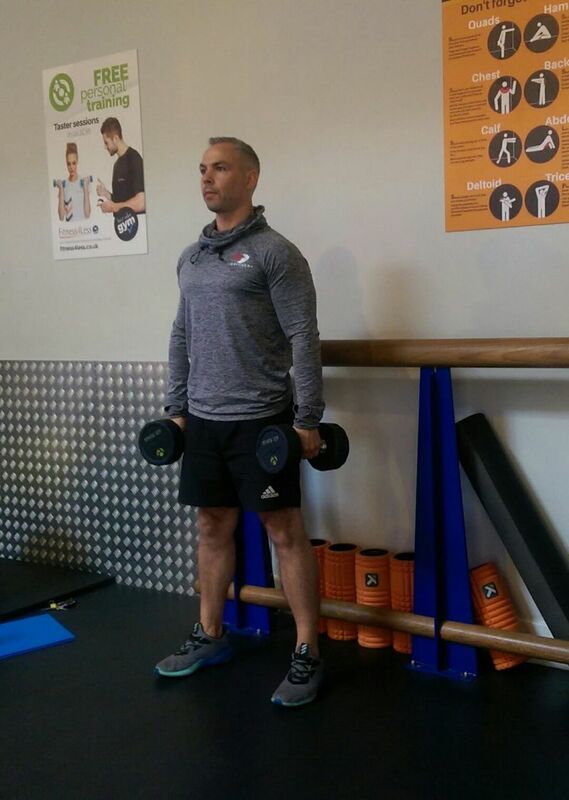 My name is Lee, aka 'Coach Carter', a personal trainer with over ten years experience of coaching and fitness instruction around Essex and Suffolk and working out of Fitness4Less Colchester. I’ve put together the 4 best exercises to not only help keep diabetes under control but also to improve overall health & fitness and assist with weight loss and toning your body. 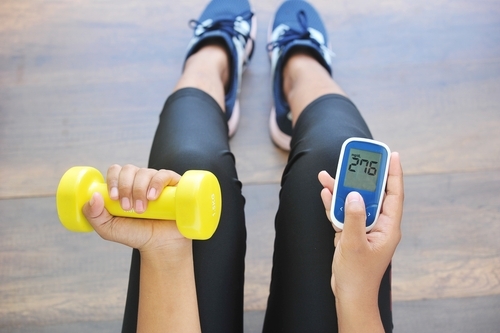 When it comes to diabetes, I’ve discovered that for the best results it’s all about keeping things steady during workouts and making sure the exercises are low to medium impact. The link between diabetes and excess body weight is strong, and the importance of not hammering your joints and keeping them healthy and pain-free is vital over the long term. For the ultimate low impact exercise, pedaling on a bike is a great way to get going. This is by far the simplest of the 4 exercises and is the recommended “go-to” exercise if you’re a complete beginner in the gym. 20-30 minutes of cycling, 3 times per week is plenty to start you off. This will raise your pulse, improve circulation and give you a nice, steady calorie burn to assist with blood sugar levels. 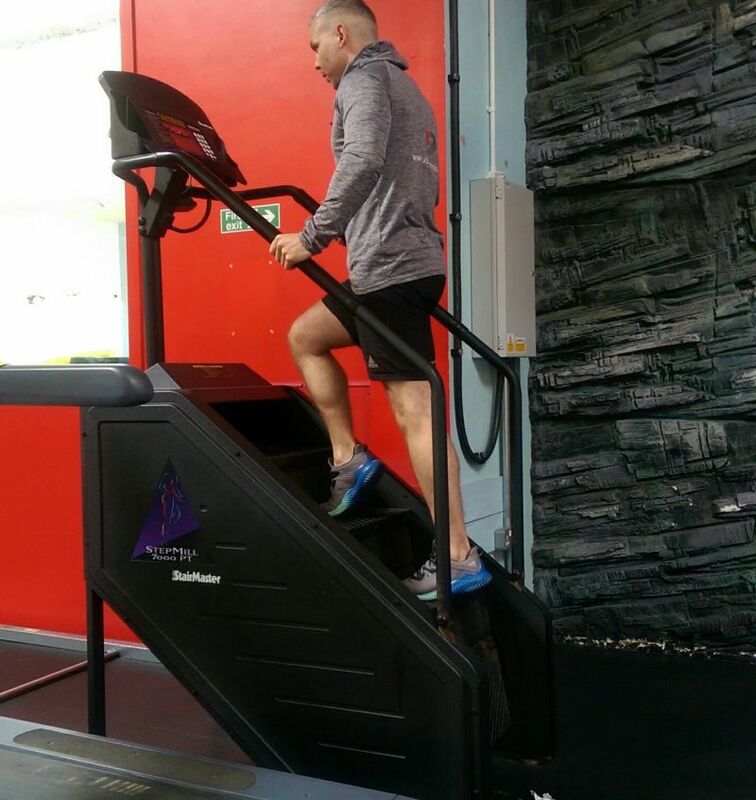 The Stair-Master or Stepper is most definitely a machine I recommend using. In fact, stairs in general are worth using if you have them at work or at home! The impact level has slightly increased with this exercise but not too much to be overly stressful on your joints. The beauty of this level of impact is the huge improvement to bone density as well as the awesome amount of toning of the legs and core achievable with a simple stepping motion. This exercise is recommended 2-3 times per week with 10-15 minutes being the ideal amount per workout to begin with. Resistance training and the use of weights can be very effective on its own, but if you combine certain moves, you can dramatically increase your level of results. When it comes to burning calories and improving blood sugar levels, the more muscle fibre you can activate at any one time, the better. 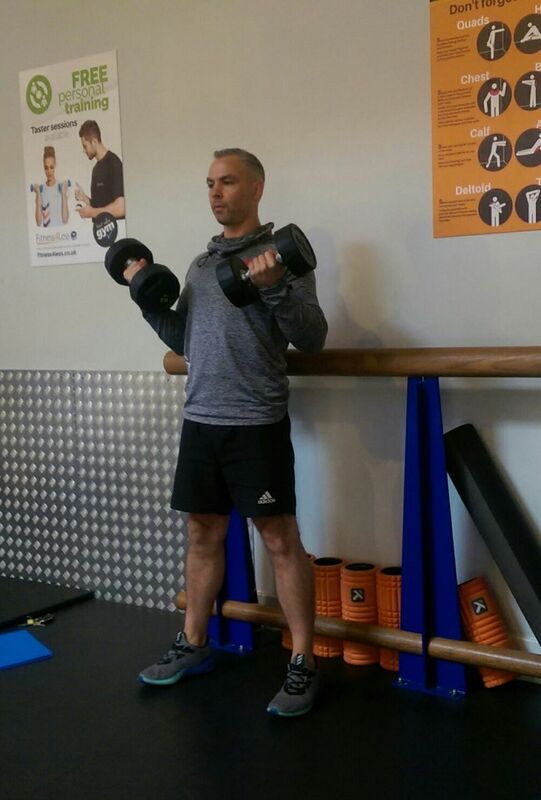 Putting different muscle groups to work in sequence means you can physically achieve a lot more in a short space of time making your workouts and your body much more efficient. To keep things simple and with a medium impact level I have chosen a combination exercise called the Suitcase Squat with Curl & Press. You’ll need a pair of dumbbells of suitable weight (only a few kilos to start.) Stand with feet at shoulder width and dumbbells held at your sides, bend at the knees keeping the back straight & chest forward, return to a standing position locking the elbows at your sides and curl the dumbbells to your shoulders, finally press the dumbbells overhead and slowly return the dumbbells to your sides. Go steadily for 10 repetitions per set, take a short 30-45 second break and repeat for a total of 4 sets. Add this to your workouts twice a week. 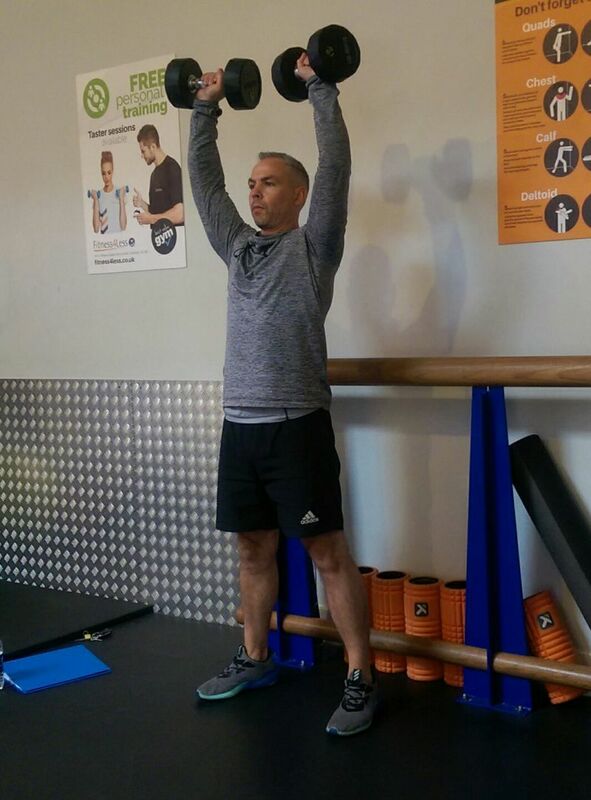 Sticking with medium impact resistance training and activating multiple muscle groups in a more efficient way, this next exercise is perfect for hitting the core whilst keeping the whole body involved. The Wood Chop can be seen as quite an explosive and sometimes advanced full body exercise if carried out with a dumbell. 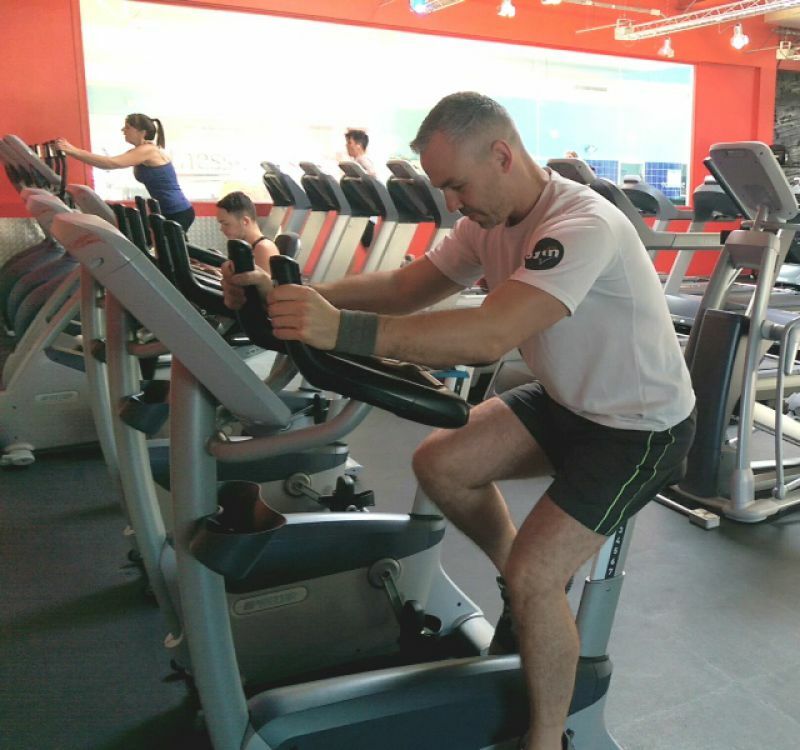 However, if we utilise a cable machine it becomes a smooth, controlled exercise. 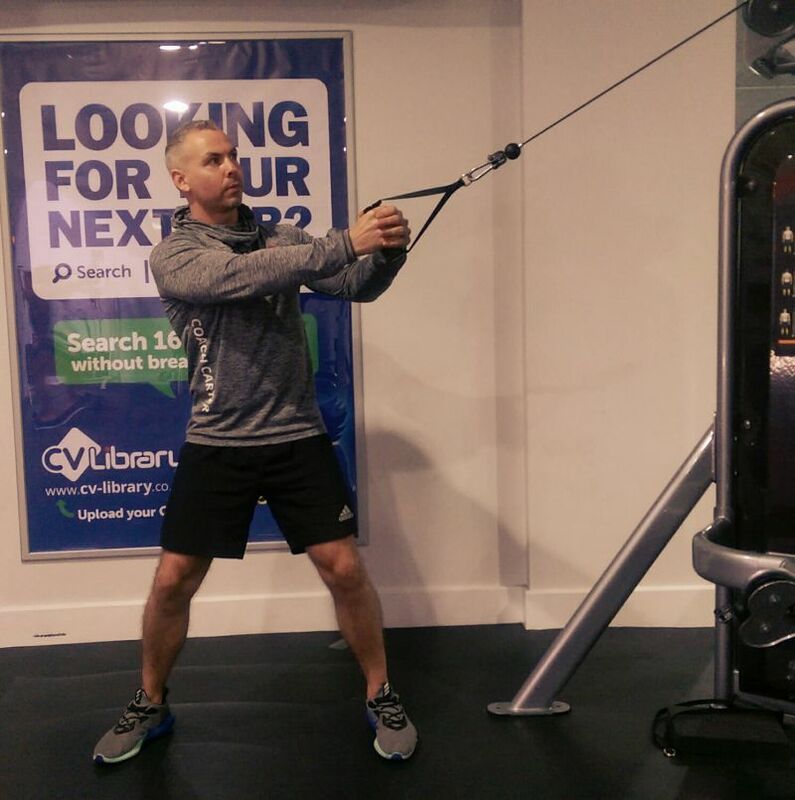 The cable, constantly under tension will govern your direction within the exercise making it safe as well as effective. I recommend having the cable set above shoulder height using a single handle. 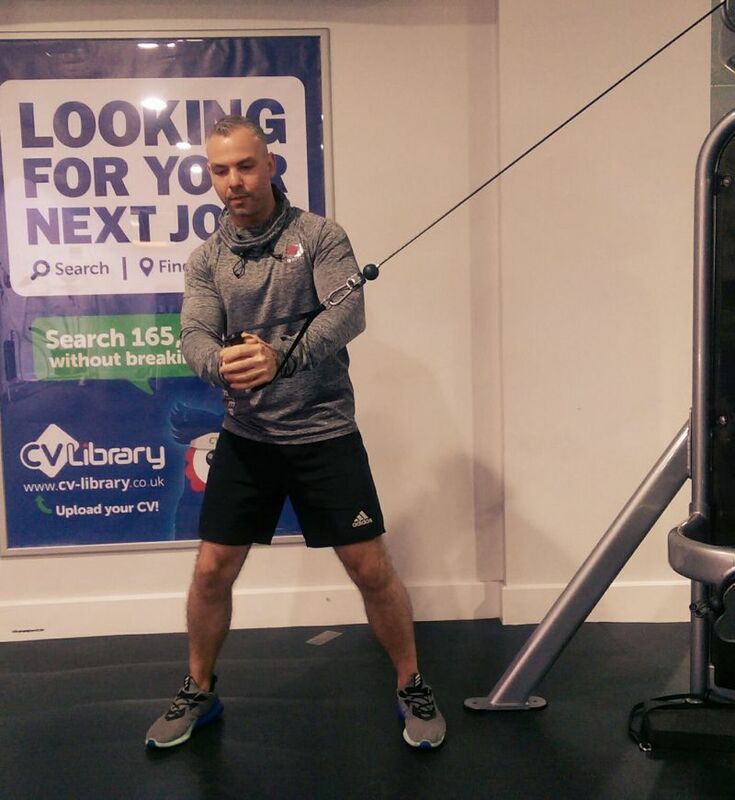 Selecting a suitable weight to begin with, stand side on to the cable, knees slightly bent, taking the strain of the weight with both hands on the handle above shoulder height. 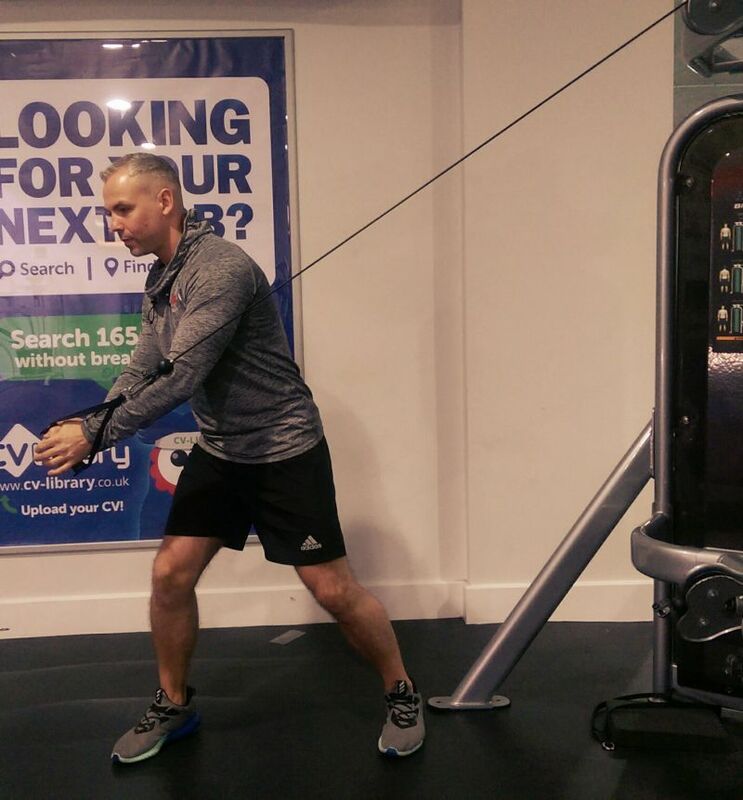 Keeping the arms ever so slightly bent, lock them in place and rotate at the waist, twisting your body 180 degrees pulling the cable diagonally downward to the height of the knee furthest from the machine. Allow the legs to bend and twist naturally as you move and control the cable all the way back to return to the start position. 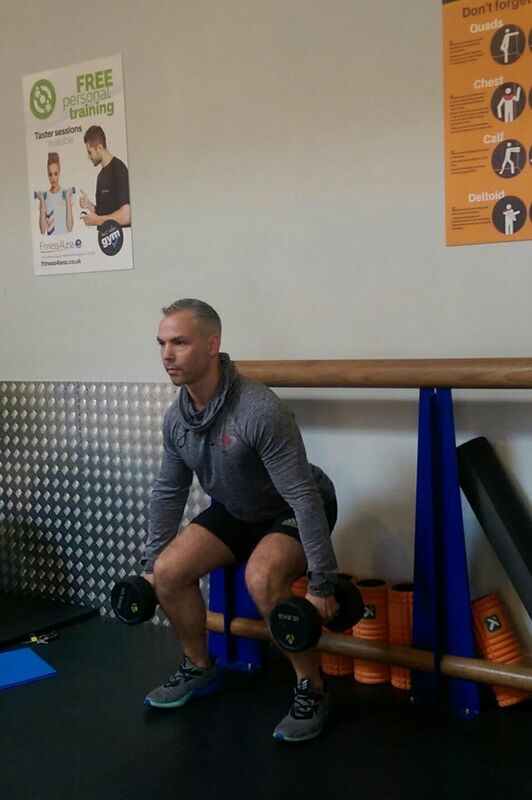 Complete 3-4 sets of 10-12 repetitions and remember to switch around and do both left and right sides of the body. Don't forget - Always consult your doctor before undertaking any new exercises or making changes to your lifestyle.